Fort Myers is in the southwest part of the state south of Tampa and Sarasota and north of Naples. It is located on US-41 and is near several I-75 exits. State Road 80 also comes in from West Palm Beach on the east coast. The area around Fort Myers Florida is thought to have been visited twice by Juan Ponce de Leon's expeditions in 1513 and 1521. Southwest Florida saw sparse habitation in the 16th and 17th centuries, occasionally seeing Spanish fishermen and pioneers who set up temporary encampments on the barrier islands and coast. In the 1700s, San Carlos Bay and Charlotte Harbor became popular spots for Caribbean pirates looking to careen their ships for maintenance and tally their booty. The presence of the Spanish and its status as a hangout for buccaneers made the spot notable enough for British cartographers to put it on their 18th century maps. When Florida became a US Territory in 1821, protection for Florida's influx of settlers and entrepreneurs soon became a priority for the federal government. Unfortunately for this effort, Florida already had inhabitants, the Seminole. A conglomeration of Muskogee tribes, escaped slaves and other refugees, these resourceful natives had been pushed out of their traditional homes in the colonies down into Florida's mangroves and subtropical forests. For years they had found peace and sanctuary in this dense and desolate wilderness. The Seminole would not give up their new home without a fight, and the US government had not forgotten the Seminole's vengeful raids across the border while Florida flew a British flag. Thus began the Seminole Wars. By 1850, the newer settlers were starting to clash with Seminoles in the south. A spot along the Caloosahatchee River was chosen for the site of the first base of operations in what came to be as the Third Seminole War: The Revenge of Billy Bowlegs. The first fort of many to come in Southwest Florida, Fort Myers was named after Colonel Abraham C. Myers, whose father-in-law was the commander of Ft. Brooks in Tampa. I guess sometimes making history is more about who you know than what you've done. With the surrender of Chief Bowlegs in 1858, the last major Seminole threat in Florida was removed. From 1863 to 1865, the fort was occupied by the Union. It was the site of the Civil War's southernmost battle when a small contingent of rebels failed to capture the fort. Ironically, the fort's namesake Abraham C. Myers was serving in the Confederate Army at the time in the unenviable position of CSA Quartermaster General. After the Civil War had ended, the fort lost all strategic value. It was soon dismantled for materials by the crackers and cattle ranchers living on the Caloosahatchee plains. As the Confederate battalion that attacked Fort Myers had been comprised of local ranchers, one has to wonder if perhaps the fort's dismantling wasn't just about easy money. Regardless, some of the first structures in Ft. Myers were built with timber taken from the dormant outpost. 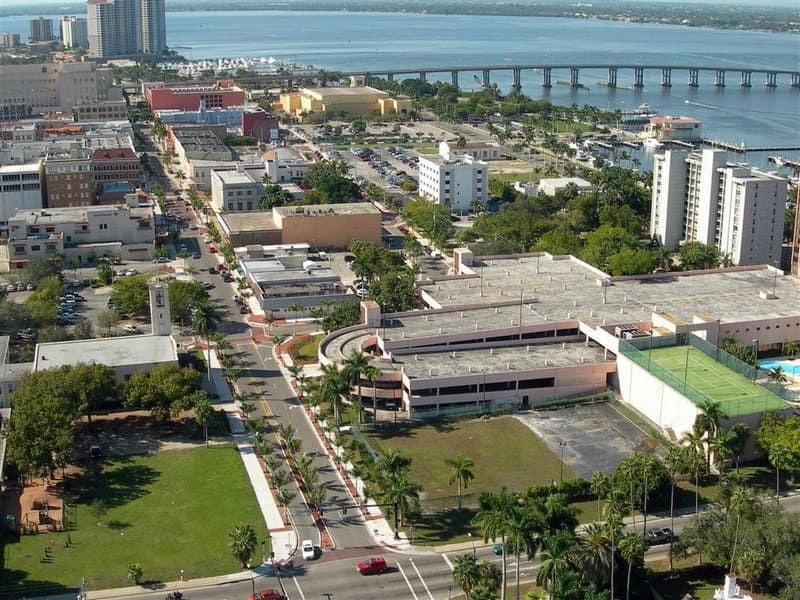 In 1885, the Town of Ft Myers FL was incorporated. 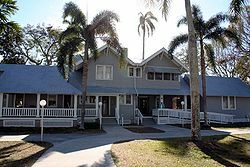 Thomas Alva Edison built his winter home, Seminole Lodge, in the new city. For a time the inventor was Ft. Myers' most notable resident. Edison was instrumental in the development of Fort Myers when he wasn't conducting experiments in his lab at the Lodge. Near the turn of the century, the unfortunately named Tootie McGregor and the Edisons began a beautification project in the city. The team trucked in Royal Palms to be planted along picturesque Riverside Drive, now appropriately called McGregor Boulevard. It would have been fun if they had named it Tootie Trail instead. Some of those original palm trees still line the street, many reaching heights of 75 feet. 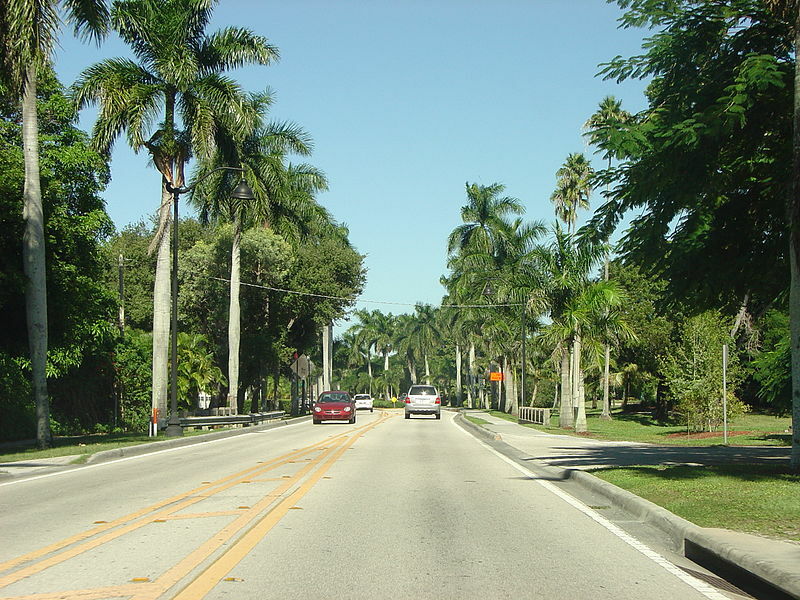 Fort Myers is home to so many varieties of palms and subtropical plants that it's nicknamed "The City of Palms". With the construction of the lush Royal Palm Hotel in 1898, Fort Myers became a major destination for the rich and famous. Its excellent fishing and warm Gulf waters enhanced its reputation. Major construction projects brought jobs and growth to the city. The construction of the Tamiami Trail Bridge in 1924 brought the city's first real estate boom. Fort Myers was spreading like a wildfire. The happy days were not to last long for the city, though. The real estate boom soon turned into a bust as the country entered the Great Depression. While the city struggled, federal works projects did manage to bring some aid. The Works Progress Administration brought Ft. Myers the Edison Bridge, Yacht Basin and the Parthenon-like Federal Post Office building. Sanibel Harbor Resort & Spa17260 Harbour Point Drive, Fort Myers, FL 33908 - (888) 896-1959. Go here if you really want to treat yourself or your family. Located on its own private peninsula overlooking beautiful San Carlos Bay. Spa treatments and more amenities than you can shake a stick at. Comfort Inn & Suites.10081 Intercom Dr., Ft Myers FL 33901 - (866)-538-0187. Reasonable rates, clean, close to the airport. The Hibiscus House Bed and Breakfast, 2135 McGregor Boulevard, Fort Myers, FL 33901. Tel: 239-332-2651. 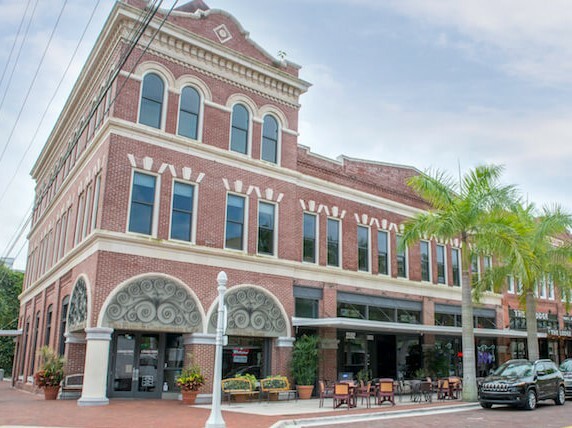 This B&B is snuggled between the historic Edison-Ford Winter Estate and the Old Fort Myers Downtown area. 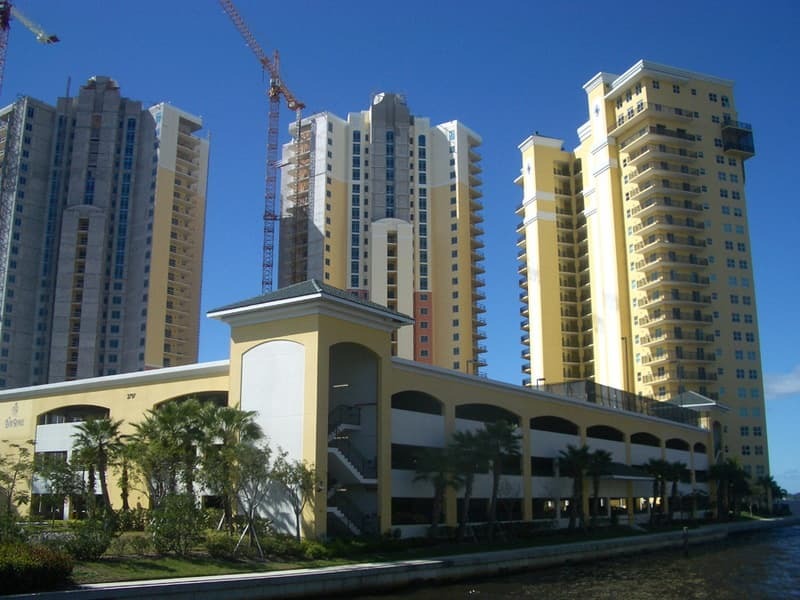 It is within walking distance to the Caloosahatchee River, Centennial Park and many fine restaurants. As with many cities in America, World War II revitalized the local economy. Ft. Myers came full circle, once again becoming a military outpost with the arrival of the Buckingham Field and Page Field air bases. While they were saving towns in Europe, our service men and women were also saving towns in America with their dollars. The thousands of military personnel brought Ft. Myers back from the dead with their business and the government contracts that came with them. Fort Myers has grown from a small cowpoke town to a major tourist destination with Boston Red Sox and Minnesota Twins training camps. Lighthouse Restaurant & Bar.14301 Port Comfort Rd, Port Sanibel Marina, Fort Myers, FL 33908 - (239) 489-0770. Beautiful marina view and live entertainment. The Sandy Butler.17650 San Carlos Boulevard, Fort Myers, FL 33931 - (239)-482-6765. Linked to a gourmet market. Connect the dots there...great stuff. 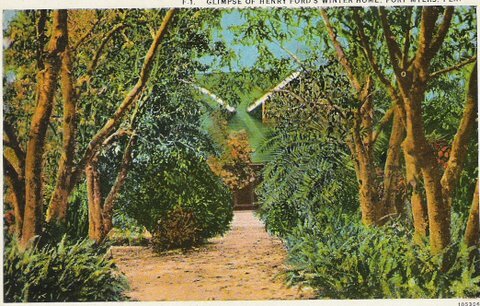 Edison and Ford Winter Estates, 2350 McGregor Blvd., Fort Myers Florida 33901. Tel:239-334-7419. The beautifully maintained winter homes of Thomas Alva Edison and Henry Ford still fascinate modern visitors. Magic Wind Adventure Sailing, 2500 Main Street, Fort Myers Florida - (800) 975-5824. Join Captain Paul for a high seas adventure on their 38' sailboat, the "Star of Orion". 1/2 day or multiple-day outings are available. Manatee Park, 10901 State Road 80 Ft Myers FL 33905 - (239) 694-3537. You're almost guaranteed to see a manatee here during the Winter as they come in to escape the chilly ocean. Imaginarium Hands-On Museum, 2000 Cranford Ave. Ft Myers FL 33901 - (941) 337-3332. Science museum and aquarium. The "hurricane simulator" will blow your socks off!